Snap, crackle, pop! Care for some sound with that aurora? This is a post by our guest blogger this month, Justin Oldham, who is a former graduate student from the University of Alaska Fairbanks and an instructor at the University of New Mexico. While studying aurora-related acoustics in Alaska I frequently encountered people who’d heard the northern lights during particularly intense displays on very still nights. The sounds described typically included hisses, sizzles, and pops correlated to movements and surges along the arcs of aurora overhead. Although there are many anecdotal reports of the aurora making audible sounds, like Bigfoot or the Loch Ness Monster, they remain unrecorded in any reliable fashion. So, does the aurora produce sounds that people can hear on the ground? Is it even theoretically possible, according to physics? And if not – then how can we explain the reports from reliable sources claiming to hear them? The visual aurora displays we see are occurring very high up in sky, with the edge of the auroral arc closest to the us on the ground typically some 60 miles above sea level. Sixty miles is an awfully long distance for most audible noises to travel. For example, the record distance for the recorded human voice is 10.5 miles according to the Guinness Book of World Records. Although, if loud enough sounds were produced it’s not completely impossible that they could make the long trip to the ground. There is another problem to consider. At the speed that sound waves travel in the air, it would take over five minutes for sounds to get from the aurora to the ground, assuming the aurora is where they are produced. This means that observations that report hearing sounds simultaneously with surges and motions in the aurora are odd, as it doesn’t account for this physical time delay for the sound to travel to Earth. During the first half of the twentieth century scientists who caught wind of audible aurora reports made substantial efforts to confirm the existence of these noises. Yet no one could do so. No matter how sophisticated the microphones and amplifiers they used were, there was little consensus within the scientific community as to how, or even if, the aurora produced audible sounds. It wasn’t until the late 1950’s that scientists working in Washington D.C. noticed very low frequency signals appearing from the North coinciding with periods of exceptional geomagnetic activity. Enter a hero of the aurora acoustics story, Dr. Charles “Buck” Wilson – a physicist, mountaineer, and noted polar adventurer. 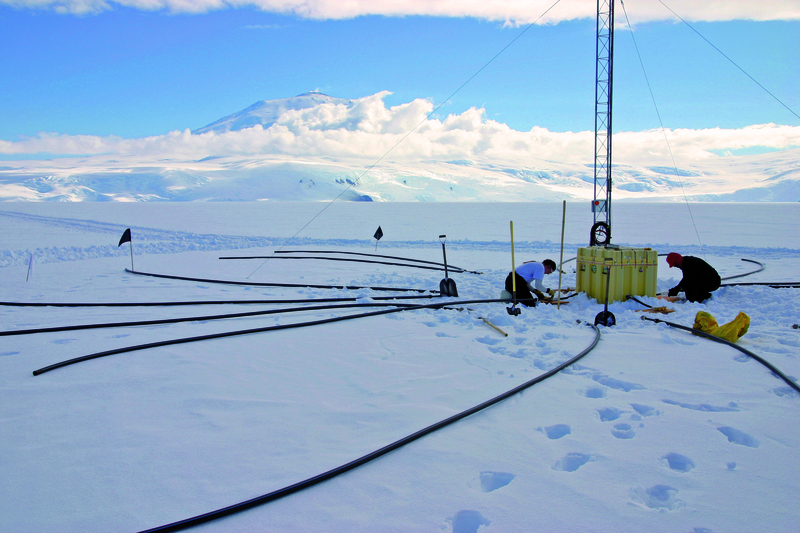 As a researcher with the University of Alaska, Fairbanks, Dr. Wilson set up microphone arrays sensitive to low frequency acoustic waves within the auroral zone in Alaska, and later in Antarctica. After proving that there were acoustic waves driven by the aurora, he worked with other physicists to show how they might be generated and make the long journey to Earth’s surface. [1,2] Suddenly auroral acoustics became undeniably real. Does this mean that we should expect to hear the aurora? Not necessarily. These acoustic waves driven by the aurora are infrasound waves, meaning that they are too low frequency to hear with the human ear. They typically occur at frequencies below 0.2 Hz. For comparison, when the bass player in your favorite rock band drops that low note on a five-string bass that rattles the window panes, that’s around 30 Hz and is at the bottom end of human hearing. The auroral infrasound is more than a hundred times lower of a frequency than that, making it most certainly impossible to detect without sophisticated sensors. So, what’s at work when observers report noises associated with aurora displays? There are several theories. Some scientists have suggested that there may be a synesthetic response in some observers. A synesthetic response is like people who report seeing a color associated with a particular musical tone but in reverse. Another hypothesis is that the people reporting hearing aurora could also be sensitive to geomagnetic fluctuations. Recently, however, research by Finnish physicist Professor Unto K. Laine may be shedding light on this obstinate mystery [3,4]. In 2012, Laine and his team reported that they had recorded audible frequency sounds that appear to be correlated to the motion of the aurora. They selected 10 loud pops that were recorded on a microphone array and compared them to nearly simultaneous geomagnetic fluctuations recorded nearby on the ground. 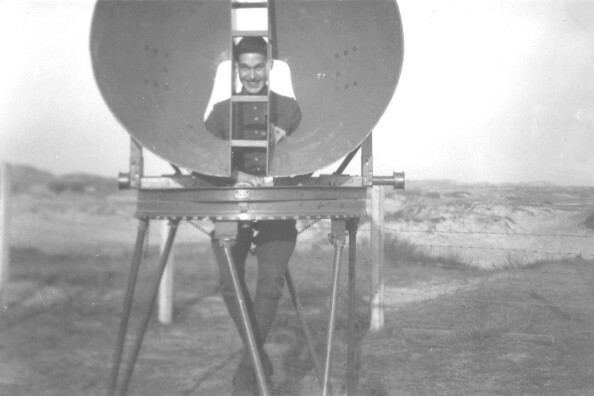 By analyzing the time delay between the acoustic and geomagnetic signals, and by performing rudimentary array processing, they concluded that the sounds were generated close to the ground, at about 70 meters altitude. This is easily close enough for the sound to travel to an observer on the ground. The team has since compiled over 60 distinct “clap” sounds with associated magnetic pulses that appear to be generated overhead at under 80 meters altitude. They later discovered via weather balloon measurements that the altitude of the generated sounds corresponded to the height of the inversion layer that is typical of still, arctic conditions; this isthe narrow boundary between the colder air near the ground and the warmer air at higher altitudes. . This year Dr. Laine proposed a new hypothesis for how these sounds are produced. Referencing previous studies on electric fields and charges near atmospheric inversion layers, he suggested that in wind-free conditions on geomagnetically active nights, positively charged particles above the inversion layer and negatively charged particles below it are separated and can’t intermingle. Sometimes, during intense aurora displays, the magnetic field fluctuations are so great that the built up charges will wobble around with them. The theory states that during active aurora the charges that are normally kept apart by the inversion layer could bump into each other with an associated noisy discharge. This is similar to when you have a built up static charge on your body and you touch a metal object. Suddenly an electric discharge and a noisy pop happen. Dr. Laine’s theory explains how the sounds can travel to an observer on the ground while the aurora themselves are so high up. It also explains the great infrequency of recorded northern lights related sounds, as atmospheric conditions have to be just right for an electric discharge to occur. However, much more research into these concepts needs to be done before this hypothesis is completely proven. Active research into auroral acoustics, both audible and outside of the audible range, continues to this day, and new theories and observations will surely continue to develop. The scientific community still doesn’t have a fully confirmed and verified theory that connects seeing aurora and hearing any sound they produce. You, however, perhaps could one day hear sounds while looking up at aurora, especially on a calm, clear, cold night if a rare, very intense aurora is on display. Keep aurora hunting – you might just be one of the lucky ones to have both a visual and audible experience of the aurora borealis. If you are, don’t forget to send us a report! 1 Wilson, Charles R. “Infrasonic Pressure Waves from the Aurora: A Shock Wave Model.” Nature 216, 5111, (1967). 2 Wilson, Charles R., and Sue Nichparenko. “Infrasonic Waves and Auroral Activity.” Nature 214, 5095, (1967). 3 Laine, Unto K., “Analysis of Clap Sounds Recorded During the September 9 – 10 2011 Geomagnetic Storm.” 19th International Congress on Sound and Vibration, Vilnius, Lithuania, July 8 – 12 2012. 4 Laine, Unto, K., “Auroral Acoustics Project – a Progress Report With a New Hypothesis.” Baltic-Nordic Acoustic Meeting. KTH, Stockholm, Sweden. June 20 – 22 2016. We’d love to hear from you. Have you ever had the sensation of hearing the aurora? Do you know somebody else that has? Thanks for reading and happy aurora hunting! Edited by Mike Cook, an education and outreach specialist with Aurorasaurus and Aaluk Edwardson, a science writer and outreach coordinator with Aurorasaurus. Just read this blog and as always it brings back memories for me when I read a discussion on sound and aurora. I was visiting Canada in the 90’s and was being driven home in Alberta (around Medicine Hat I think) by friends when I saw this weird sight out car window. I asked what it was and they stopped straight away to let me see the aurora. I will always remember the green curtain waving around above me but I also vividly remember a crackling sound like static electricity. I assumed that that was normal and a part of seeing the aurora. It seems not? I have never seen colour or heard sound since because I am too far from South Pole but I do see it dancing away in the distance regularly in greys and white, from where I live in Victoria, Australia.